These cabin fever boredom busters are the perfect cure for anytime you may be stuck indoors during the long Winter months! Keeping the kids entertained indoors is not always an easy task, but these activities use common household items and the set ups are simple. I love how many of these activities can inspire lots of learning and creative playtime fun! Kids love to play with water, don’t they? Why not decorate cut up sponges as pretend cakes and cookies in the bathtub! Shaving cream is great for pretend icing and you can even try grated bar soap for pretend sprinkles. Rinse and repeat over and over! Use removable chalk markers like Fun Chalk on magnetic tiles to create detailed windows, doors, and more! Erase and draw (again and again). There is something quite soothing about watercolor paints. Use white crayon, oil pastel, or try masking tape to create stunning watercolor resist paintings. 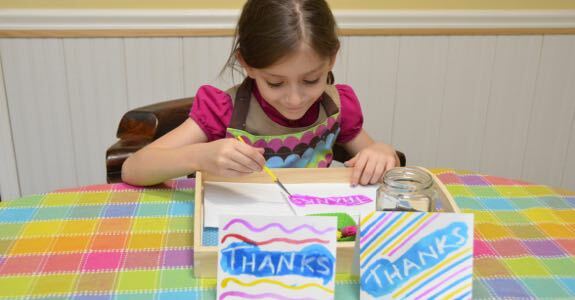 These hand-painted thank you cards are fun and easy to make! These are a great way to add some sparkle and charm to a garden space! Use tacky glue to adhere plastic gems or sequins onto old CDs. Beautiful! 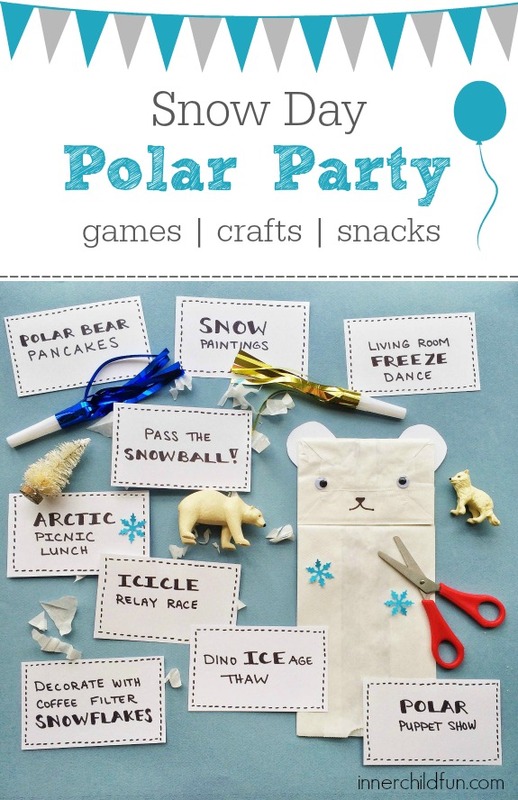 Even if you don’t have snow, you can still have an impromptu polar party with a few games, simple crafts using common household items, and some books about snow to read together. Get the details here. To be opened every hour on the hour! 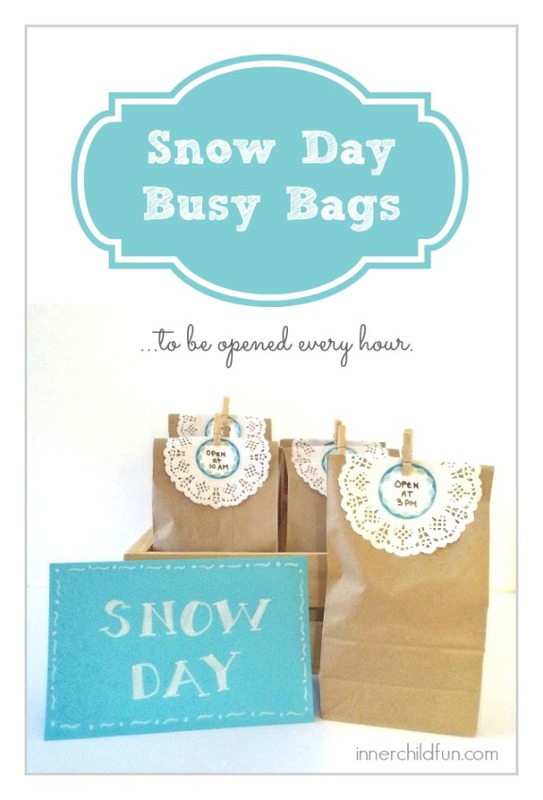 Amazing what a few surprises wrapped up in brown paper lunch bags can do to relieve cabin fever! See the full list here. 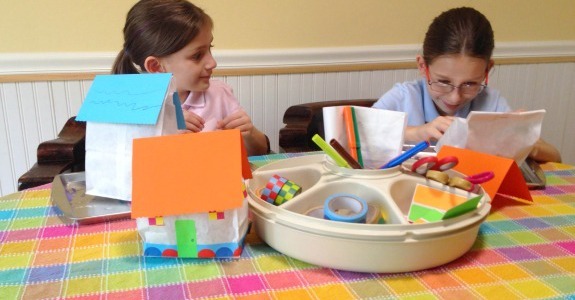 Fun, mess-free craft to create a paper house village and inspire plenty of imaginative play time fun! Get the full instructions for this project here. Have you tried Zentangle? Zentangle is a calming drawing technique that is perfect for kids and adults. 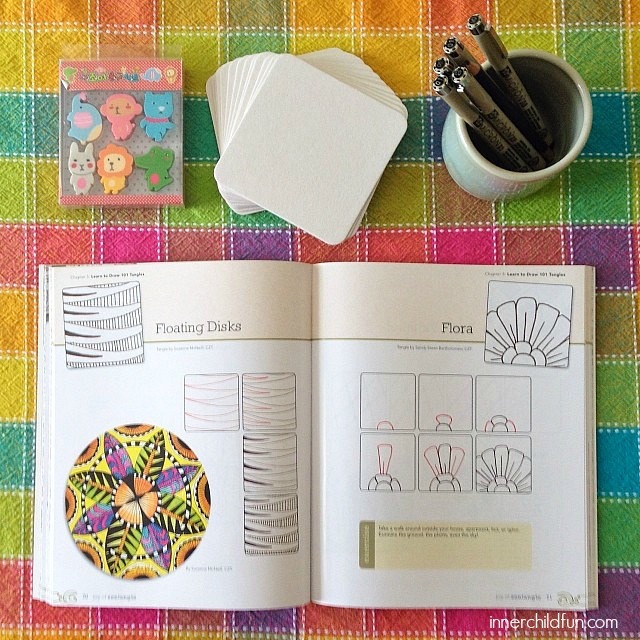 Learn more about Zentangle and everything you need to get started here.